This Friday (Feb. 22) officials from the City of St. Louis, St. Louis County, Lambert St. Louis International Airport, and the Metropolitan Sewer District will present their organizations’ perspectives on what constitutes “good faith efforts” in construction supplier and workforce diversity and inclusion. 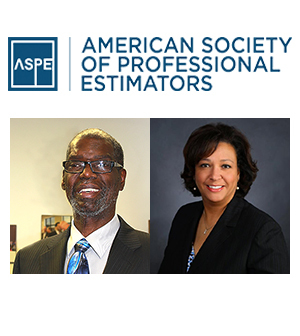 The representatives will speaker at the February meeting of the St. Louis Chapter, American Society of Professional Estimators (ASPE). The meeting is scheduled for 7:30-9 AM February 22 at the Construction Forum STL offices, 3245 Hampton Ave.
“Good Faith Efforts” for diversity/inclusion is one of the most discussed, yet misunderstood, requirements in the public contracting market. Jack Thomas, chief diversity officer for St. Louis County. Gooding and Thomas will break down “good faith” efforts, share their expectations from bidders and explain their evaluation processes. In an interview with ConstructForSTL shortly after he took office, Thomas said that he has a strong understanding that construction is a relationship-based business. But Thomas wants bidding contractors to understand that the bar is being raised for what constitutes a “good faith” effort. “When you want to do business, you figure out a way to establish a relationship and make it happen.” he said. Saying, “(Majority-owned-contractor) Joe has done my plumbing for 10 years,” will no longer cut it in his viewpoint. Bill may be a valued supplier, but more effort will be required to find W/MBE bidders, Thomas stated. Amber Gooding came to Lambert International from the Metropolitan Nashville Airport Authority, where she served for over five years. Prior to that she was executive director of the Tennessee Human Rights Commission. In 2017 the program she directs was honored as a diversity champion by the Airports Council International-North America and recognized with an award for organizational excellence in diversity by the St. Louis Council of Construction Consumers. Registration is required for the event. Breakfast is included in the $20 registration fee. To register, click here. Registrations can be paid in advance, or at the door. Prior to joining MSD seven years ago, Shonnah Paredes was commissioner with the St. Louis Housing Authority. Before coming to the City she was a pricing and contracts administrator for Boeing. Vladimir Monroe was promoted to the position of director of minority business and compliance at St. Louis Development Corporation in April 2018. He transitioned from the position of contracts compliance manager, a position he successfully held for three years.